AKIPRESS.COM - Turkey’s President Recep Tayyip Erdogan will meet with Russian and Iranian leaders in Iran next week to discuss developments in Syria and how to deal with radical Islamic groups who control the last major opposition holdout there, the Bloomberg reports. 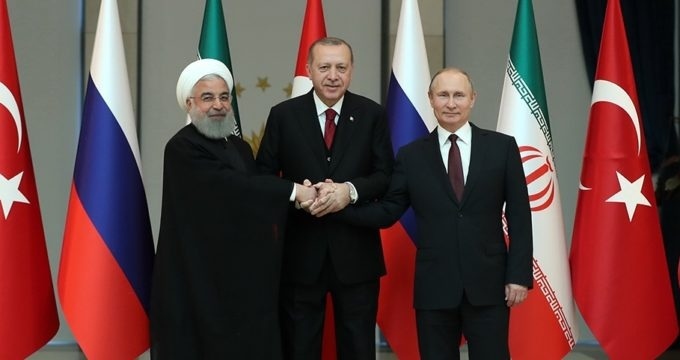 Erdogan’s Sept. 7 sitdown with Russian President Vladimir Putin and Iranian President Hassan Rouhani in the northwest city of Tabriz comes at a critical juncture in Syria’s civil war and at a time when U.S.-Turkish relations are badly strained. Russian bases in Syria are coming under attack from al-Qaeda-linked rebels in the northwestern province of Idlib as Syrian forces, backed by Moscow and Tehran, close in on the opposition enclave. Turkey has warned that an all-out military offensive on Idlib could lead to a “disaster” and trigger a new refugee wave toward its borders. The province near southern Turkey is now under Ankara’s sphere of influence, and a massive attack on the area could diminish its clout. Turkey is pursuing its own security interests in Syria, and has intervened militarily against Islamic rebels and Kurdish forces there. A major reason for the friction with Washington is U.S. support for Kurdish forces in Syria, which Erdogan fears could fuel separatist aspirations of Kurdish militants at home. Earlier this month, Erdogan warned the U.S. that NATO member Ankara may start looking for new alliances amid a broader diplomatic conflict between the two nations and an economic crisis battering Turkey’s currency. The U.S. and Russia exchanged warnings over the weekend concerning developments in Idlib. U.S. National Security Adviser John Bolton said Washington was willing to intervene militarily if Assad uses chemical weapons to recapture the province. Russia accused the U.S. of looking for a pretext to attack Syrian President Bashar al-Assad.